How Can You Participate in Earth Day? Do you love the world we live in? So do we! Join us in participating in Earth Day 2019. This year’s theme is ‘Protect Our Species’ where the goal is to educate the world on how human activity is causing a greater risk for millions of our plant and wildlife species that currently exist. 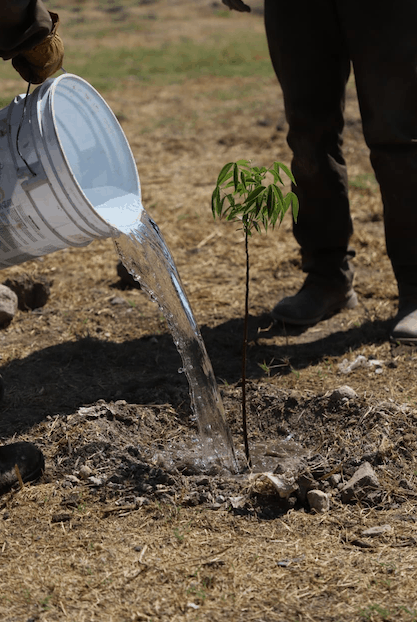 Earth Day Network, the global organizers of Earth Day, is the world’s largest recruiter to the environmental movement with more than 75,000 partners in nearly 192 countries worldwide. Since Earth Day’s beginning on April 22, 1970, many environmental laws including Clean Air Act, Clean Water Act, Endangered Species Act and many other groundbreaking environmental milestones have come into action. Now more than one billion people participate in different activities around the world to help benefit planet Earth. Up with People has long been a friend of the environment, and our young ambassadors of cross-cultural understanding sing songs carrying this theme with pride. In 1992, Up with People was invited to perform at the United Nations Conference on Environment and Development’s Earth Summit in Brazil. While there, we debuted the original Up with People song We’ve Got The Power. Our current production closes the first half with a rock anthem called Home, which addresses our responsibility to this island Earth, our shared home, and all of those who are our neighbors. Being responsible human beings, we believe it is our duty as stewards of this planet to do all we can to protect our air, trees, water, land, and all creatures great and small. What Can You Do To Be An Active Participant on Earth Day? This year, millions of people and official landmarks such as Big Ben in London, Egypt’s Great Pyramids, and the Empire State Building in New York City, participated by going dark. The hour took place on March 30 from 8:30 PM to 9:30 PM local time where people shut off all of their lights to be a part of a worldwide blackout in order to help decrease our carbon footprint. Mark your calendars for March 30, 2020 so you can participate too. Supporters can also sign a pledge and share on their social media pages using the hashtag #Connect2Earth. We realize this might be easier for some than others, but why not try an alternative transportation method to and from work? If you can’t ride a bike, try carpooling or using public transportation to help decrease the amount of cars on the road. Many companies provide people the opportunity to switch from receiving their bills and notifications from print in the mail to an email notification or through mobile applications. Making the switch can help decrease the amount of trees that are cut down, reduce landfill waste and help curb the release of greenhouse gases. If your faucet constantly leaks and drips, it equals out to about five gallons of wasted water in just one day and more than 2,000 gallons of water every year. Fixing these types of leaks throughout your house is not only beneficial to decreasing the consumption of water, it also provides more water to those who are in need. One of the most important lessons we try to instill on our cast members in Up with People is to bring community service back home to their local communities after the tour is over. 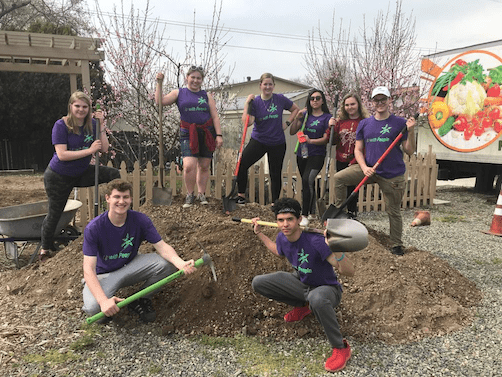 From starting a fundraiser to creating a community garden, there are so many opportunities out there that can collectively get your entire neighborhood involved. Do you drink out of water bottles regularly? Switch to using an eco-friendly water bottle that you can reuse. Find yourself drinking out of plastic straws? Plastic straws are made primarily out of polypropylene which is a material that most recycling companies won’t accept because it gets stuck within the machines. Try switching to reusable metal straws instead. What will you do this year to help protect our species?